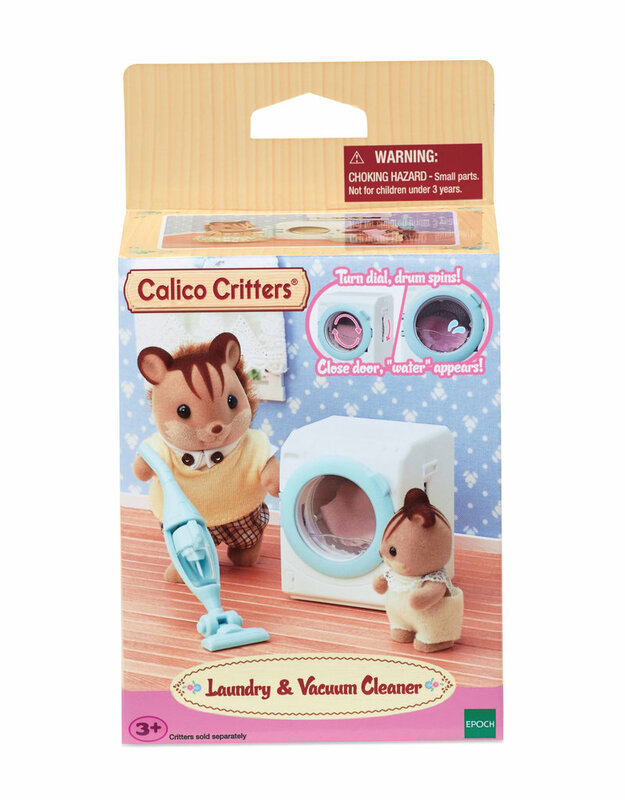 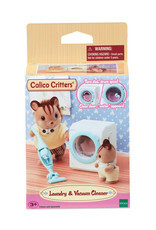 The Laundry & Vacuum Cleaner set from Calico Critters comes with a vacuum and washing machine. 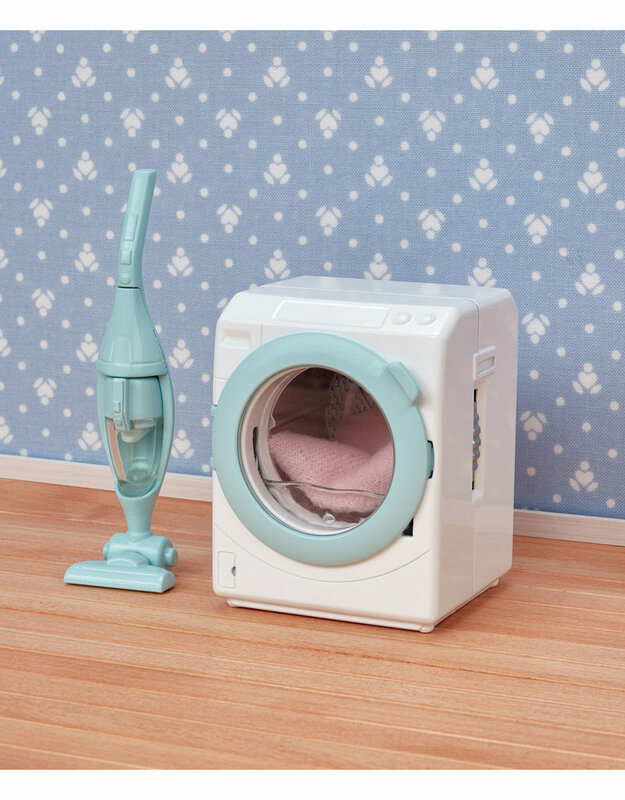 The Vacuum comes with detachable hand vacuum. 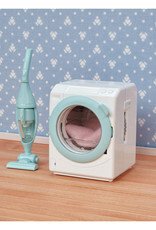 The washing machine drum spins and water appears when the door is shut.